Why pay $800 or more for a premium smartphone with an excellent camera and sound system, when you can enjoy premium features in a smartphone that costs less than $200? College students, budding professionals and young couples will find all the entertainment they want, with all the features they need, in the new Alcatel IDOL 5 smartphone – available exclusively at Cricket-branded stores or at cricketwireless.com beginning October 27, 2017 for $199. The Alcatel IDOL 5 offers a powerful entertainment experience and premium design in a value-packed Android smartphone. 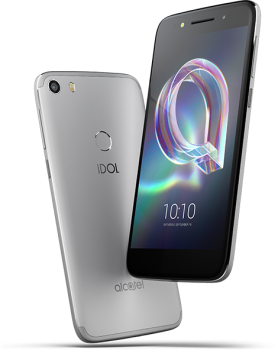 Featuring a spacious 5.2″ Full HD display with dual front-facing speakers, the Alcatel IDOL 5 is perfect for viewing videos and listening to music. The IDOL 5 also comes virtual-reality ready for you to enjoy 360° viewing, socializing and gaming experiences. The powerful Octa-Core processor and 4G LTE speed of the Cricket network, combined with the fast-charging battery, lets you stay connected throughout the day. Enjoy added convenience features, like the reversible display, Android 7.0 Nougat with Google Assistant, NFC for mobile payments, and the Alcatel-exclusive NOW key that instantly launches your most commonly-used apps – combined to provide all you ever wanted, all in one phone. 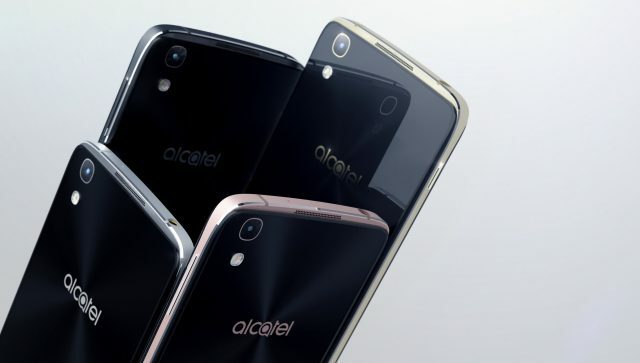 Portable Entertainment System – The Alcatel IDOL 5’s crisp, clear and vibrant full-HD display offers an immersive viewing experience. Dual front-facing speakers provide exceptional sound when viewing your favorite TV shows and videos, and listening to music on Alcatel’s exclusive music app. Alcatel Music is integrated with Deezer from Cricket (subscription sold separately) to give you access to millions of tracks at your fingertips, and on-screen lyrics so you can sing along to your favorite song2. Virtual Reality (VR) Ready – The Alcatel IDOL 5 is optimized for VR, pre-loaded with VR Home and VR Store apps that provide easy access to some of the best VR videos, apps and games available today. Pair the IDOL 5 with Alcatel’s UNI360 VR Goggles (sold separately) and experience a full suite of premium 360⁰ entertainment experiences made portable and ready to enjoy. Added features like on-screen call and message notifications, pass-through camera to see your surroundings while still wearing your VR goggles, and VR Cinema to watch any 2D movie you own, through the goggles will make you never want to leave your virtual world. Ski the Alps, take in a concert, walk the red carpet, or get right in the action of your favorite game, all from your living room.